The Airbus A320 is a two-engined short- to medium-range narrowbody airliner with a capacity of maximum 180 Passengers produced by the European manufacturer Airbus S.A.S.. 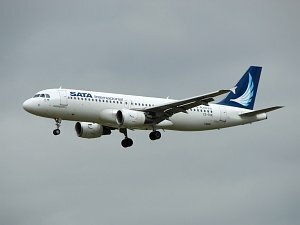 The A320 was the first model of the A320-singe-aisle-family. The Airbus A320 was the world's first series production aircraft with fly-by-wire and side-sticks controls. It is powered by either CFM International CFM56-5 or International Aero Engines (IAE) V2500 engines. From the first variant A320-100 only 21 airplanes have been produced. The version -100 was not equipped with winglets (fenced-wingtips).